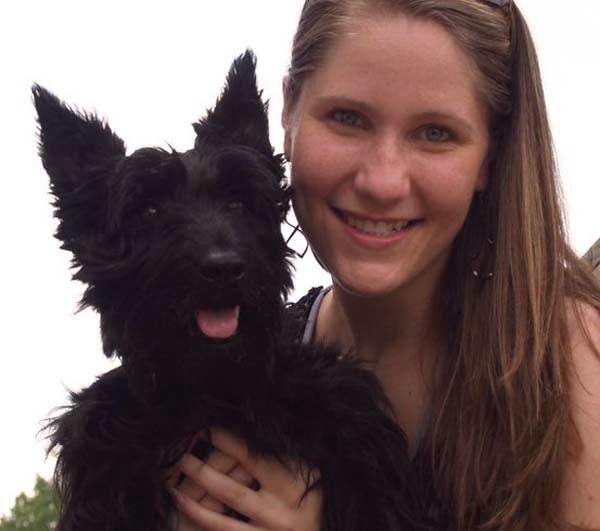 After getting a job after college and finding myself 400 miles away from my sweet Scottie Tassel, reading your blog lets me remember all the Scottie ways from the arrrooos to the zoomies...did you find it difficult to have Mr. K in your smaller apartment years back combined with going to work? I want to rescue a Scottie now that I live on my own and Tassel lives with our mom but I’m just not sure about it, especially since my dad works from home and so Tassel always has someone to arrrooo at and let her out any time during the day. It would be great to have your opinion! I ache for Scottie companionship now that I’m on my own but I want to make sure it’s the right choice for a Scottie. First of all, Glynis, I'd like to point out that you are already thinking of your Scottie's needs before your rescue Scottie has even entered your life....a sign of a true Scottie Mom! I was in your shoes just three years ago: away from home, working my first "big girl" job after college and in a tiny, 600 square foot apartment all by myself. I found Mr. K by accident, really - I accompanied a friend to a shelter and wound up being the one taking a dog home. What can I say? The heart knows what it wants and from the moment I met Mr. K, I knew I had to provide him with a better life. I was warned from the start that a Scottie wouldn't be the easiest first dog to own and perhaps I should try another dog. I was told they were stubborn, nearly impossible to train, how it was very important to have a fenced-in yard (which I didn't have), and more. All these things are valid points. However, I have learned that owning a Scottie isn't a "one size fits all" scenario. Mr. K lived in various tiny apartments, including a condo in the sky, before we moved to The Scottie House in June. While I won't deny having a fenced-in yard (something we still don't have) would be nice, it is definitely not a necessity when owning a Scottie so long as you are willing to walk. When it was just Mr. K and me, there was this initial "getting to know you" period. It was like we both couldn't believe the other one was there. I sincerely believe Mr. K was just happy to be inside a home - any home - as he had been left chained up outside day after day. During those first few months, he never once cried when I left him home alone as I went off to work and every night, he would greet me excitedly. It wasn't until I was laid off from my first job and spent three or four months at home with him that some behavioral issues began to arise. Suddenly, he would bark on the rare occasions I did have to go somewhere. Though he did stop barking before I would make it to my car, he left quite a bit of custom artwork on the carpet to show just how displeased he was with my decision to leave. When we moved to Atlanta, we upgraded to a 750 square foot apartment. This time, though, my hours at work were a little more than what they had been previously (especially when you factor in the time you sit in traffic here). I knew almost immediately that I would have to find a companion for Mr. K. Even though he had more space in that apartment, I left shortly after the sun rose each morning and didn't come home until when the sun was about to set. That couldn't be fun for him! Hence, how Heather came into the picture. Now, if two Scotties can be as happy with that tiny apartment, I'm sure one Scottie would be more than content in your household! The important thing to consider when deciding if you should rescue a Scottie dog at this stage in life is the commitment. As much as we want them for a companion, can you provide your Scottie with everything he or she will need? As I'm sure you're well aware, it is more than just food and water. It's vet bills, monthly heartworm and flea prevention treatments, as well as grooming and boarding fees on occasion. Also important to note is that things can and will change quickly and you need to be prepared for the unexpected. I wasn't expecting to be laid off but I had enough saved away to care for both Mr. K and me while I was unemployed. Nor was I expecting to pay thousands of dollars in emergency health care costs to keep them alive when their respective medical crises hit, but I did. I tell you all this, Glynis, not to scare you but to be sure you are ready. It sounds like you have already taken these things into consideration and are probably just waiting for that rescue Scottie to come along and make you an official Scottie Mom! If that's the case, I congratulate you in advance and can't wait to introduce your Scottie to our community. 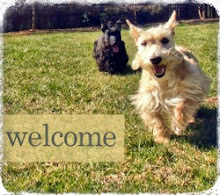 Know that your time with your rescue Scottie will be one of the most rewarding experiences in life. 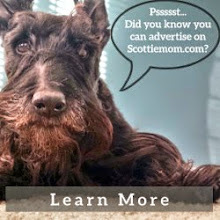 In fact, here are a few things you can expect: Top 10 Things Every New Scottie Mom Should Know. Fellow Scottie Moms and Dads, if I missed anything, feel free to weigh in here in the comments section below. Much love, The Scottie Mom. This was a beautifully written article and so true! You have such a way with words. I love the things you write because every one of us with a Scottie have experienced the same things! What do you do in the real world? We have 4 Scotties. (Not a typo ;) ) The longer I'm planning to be gone, the farther I walk them. If they are cooped up all day, they still have all that energy that needs some form of outlet. A senior citizen Scottie made need slightly less exercise. The best thing in the world are crates. Their own little bed while we are gone. We've had no issues with them. When we are home, they will often CHOOSE to go lay in them, without asking, without prompting. They seem to know it's "their" place. An older Scottie would also be very grateful for a new home and someone to love!! There are groups that rescue just Scotties. Hope you find a wonderful Scottie soon! Wishing you well. I moved from a house with a yard to a condo and I didn't see that it traumatized Molly one bit. I worked for another year and she did fine. I walked her as soon as I got home and she did. It has been a win/win situation for me because, now that I am retired she walks me several times a day! And of course if you got one that was three or over they would require a bit less exercise. Hope you find your perfect fur baby! Our Scottie also stays at home by himself during the day and has since he was a puppy. We live in an apartment. In his first 6 months he did subject us to some angry destruction - ripping the sheets off our bed and in to little pieces, puncturing an asthma puffer he'd picked out of a bag and ending up on a drip at the vet, chewing the wooden architraves in our apartment. We learnt ways of keeping him entertained. Exercise for us has been key. I walk him before work - he spends a good half hour looking for cats and foxes on lead in winter and time in the park in Summer. We have a young dog walker who pops by in the middle of the day and gives him two hours of outdoor time. He then seems to sleep an awful lot. What a life!! When he was younger we had kongs for him to try to,push his food out of, and chews for him to concentrate on. Our neighbour is retired and has a key and can pop in if he hears mr h in distress. Having a Scotty has added so much to our lives. It's a great way to meet people and get outside even when you least feel like it. I have had three Scotties and they have all been fine with whatever my life style was at the time. They adapted to my lifestyle. But I have always given them attention when I was with them and plenty of things to play with when I was gone. But I could not be gone more than three days because each one stopped eating and mourned. You are so so right. Above all it comes down to this, love them and respect them. I'm 11 going on 12. They know I won't be around forever and They're starting to look for a rescue Scottie to add. If we're three for a while-no problem. There aren't very many Scotties at all where we live. What a great answer. This is a post everybody considering a scottie should read. I myself have a tiny 1-bedroom apartment and a full time job. I have a now 8yo Scottie, Cyrus, who has been w/ me since he was a puppy. Cyrus has the bladder control to hold it while aim at work all day & as long as I spend so e time w/ him in the morning before work, whether it's a quick game of fetch or a short brisk walk, he is happy as can be! It's all he's ever known & I couldn't imagine my life w/o him. Another trick I use is to switch out the toys I leave out for him every few days or week. I say go adopt one & love o. It- you'll both be happy you did! Hi Scottie Mom, great answer, Scotties fit right in anywhere, we gots an acre and love it. Hey Top Cop Bites here, you asked heres your Blogville Position. Just saw Wheaten Heather on your site. Betcha Heather would really fit is as our Court Clerk, as she gets the payment for fines(in treats, so skimming off a few is overlooked), issue warrants, hang around the office and have donuts with me,TC Bites, see what our Bar/foodie gal Ruby is up to, and as soon as we get a judge, she will be recording all the court case stuffs. OK, here's what we need, a resume and a couple of pictures to choose from, for ideas see today post and Tuesdays posts. Aroo there glad you stopped by. I will add you to my blog list so I can follow your blog.